Eye: A rich golden hue. Nose: Dry fruit and some leathery aromas. Palate: A somewhat fruity Cognac which is very well rounded. It is a complex blend which intensifies in the mouth, but with an elegant and well-assembled finale. 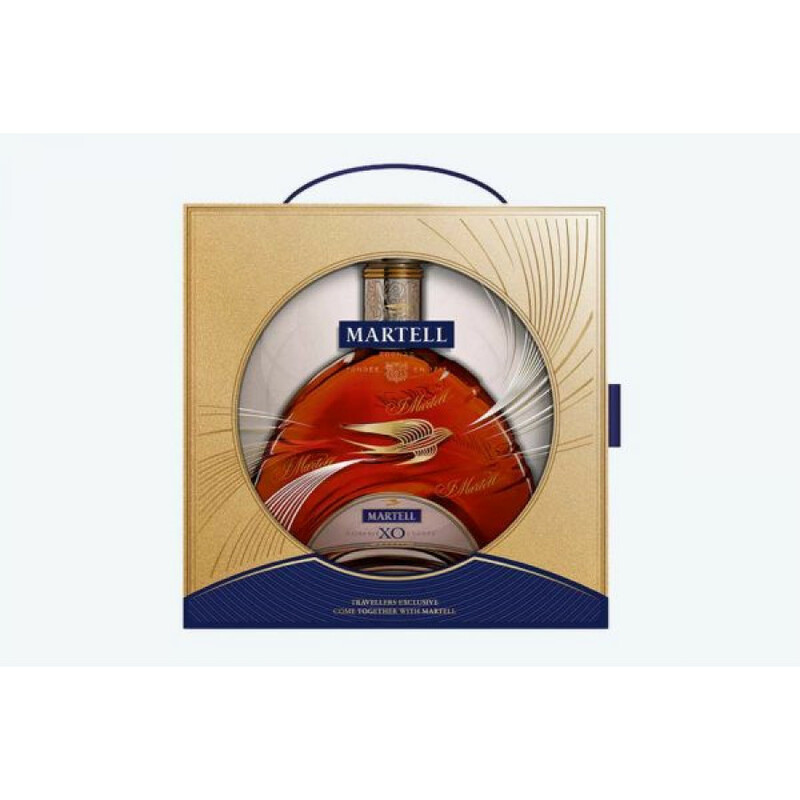 Martell have outdone themselves once again, with their latest release of a limited edition Martell XO, in collaboration with Pernod Ricard Global Travel Retail and their “Come Together” campaign. The classic Cognac that derives from the Grande Champagne terroir is a mastery of blending techniques, and Pernod Ricard have described the newest Martell Extra Old as one that invites travelers to “rediscover the power and structure” of this Premier Cru. As the oldest Cognac maison in the world, this new edition also proves Martell are still one of the most innovative. The campaign encourages Asian travelers to “Come Together” and support the new XO Cognac, and is in tandem with the Asian Mid-Autumn Festival. It is only fitting that this campaign is one for Martell and their iconic half-crescent decanter. The Mid-Autumn Festival, which is also known as “Moon Festival”, brings families together to celebrate an age-old tradition rooted in Chinese and Vietnamese culture. The packaging is flecked with decadent gold and a “moon” shaped window to enhance the bottle. The new campaign is represented by the Martell swift as it travels around the globe and gathers all of its observers under one moon. With the moon at its brightest and fullest, the new Martell XO Limited Edition shines just as bright. In keeping with the festival customs, Pernod Ricard GTR offered travelers the chance to enjoy an in-airport experience to bring them together with their families, with a toast of the latest XO Cognac. With an incredibly stylish airport launch, travelers in Asia were exclusively offered vouchers to redeem two Cognac glasses; one to keep for themselves and one to offer to a friend with a personalized voice message. The Martell XO Limited Edition 1-liter bottle is exclusively available in Asian travel retail in Singapore, China, Hong Kong borders, Macau, Japan and Korea, and naturally here with Cognac Expert. It is not to be missed. At the 2017 Cognac Masters, the Martell XO has recently won the Gold Medal in the XO Ultra Premium Category. It is well-recognized across the industry. Martell is one of the biggest Cognac houses, but also the oldest. With a philosophy dating back to 1715 when Jean Martell wished only to create the best quality Cognac, it is now one of the biggest players of the luxury goods market and has reinvented itself time and time again for a number of limited edition Cognacs. They possess some of the most sought-after eaux-de-vie in the world in their secret cellars.